Raveler Globalite, who won the yellow Thames bag, and Raveler knittingdork, who won the red Thames bag! We have contacted the winners to arrange for the delivery of their prizes. 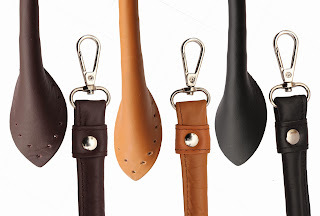 Knitter's Pride Faux Leather Purse Handles, shown here with hook option. Felted bags and totes are a great project to make this time of year; they are handy, fun, and make great gifts, too! 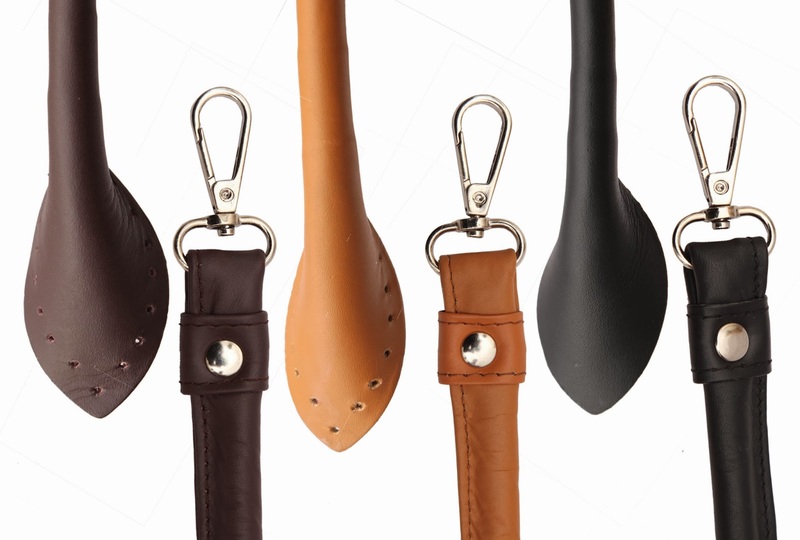 We have a variety of new bag handles that are perfect for accenting your hand crafted bags: Genuine Leather Handles are available in 3 beautiful natural colors shown below, and Faux Leather Handles come in the rainbow of colors pictured above. 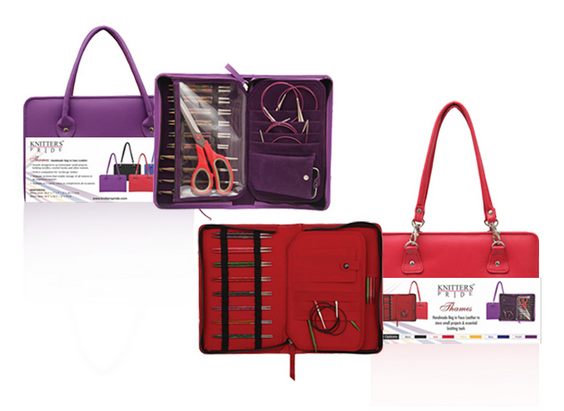 Both are available with or without hooks so they can be easily attached to your bag. If you need a little project inspiration, here are some great patterns from Ravelry which we think would look great with any of our new bag handles. 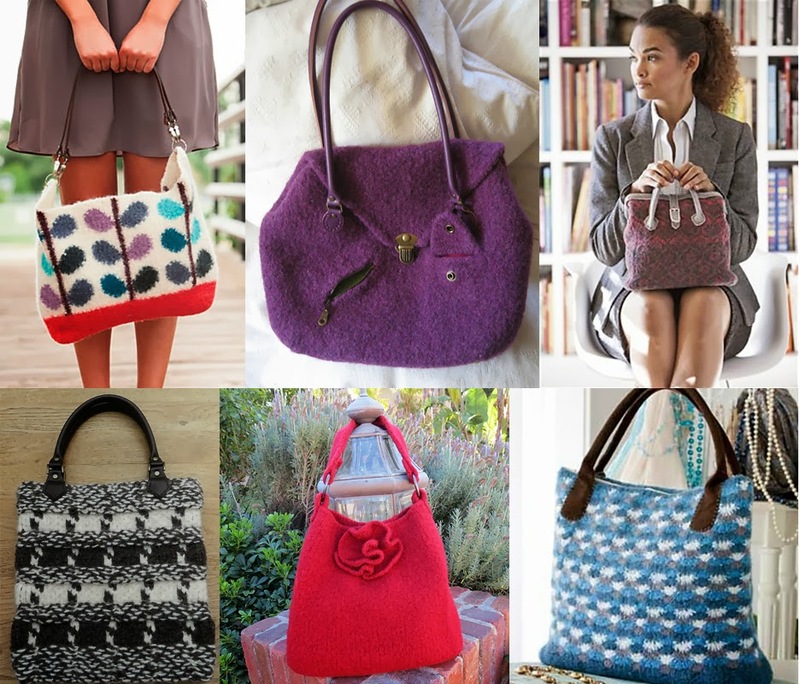 Clockwise from top left: Winterbloom Bag by Amy Gunderson, Amethyst Organiser by Diane Bertolatti, Molly's Carpetbag by Cricket Toomey, Ripple Tapestry Tote by Ellen Gormley, Red Rose Tote by Debbie O'Leary, and the Cappuccino Felted Bag by Emma Vining. 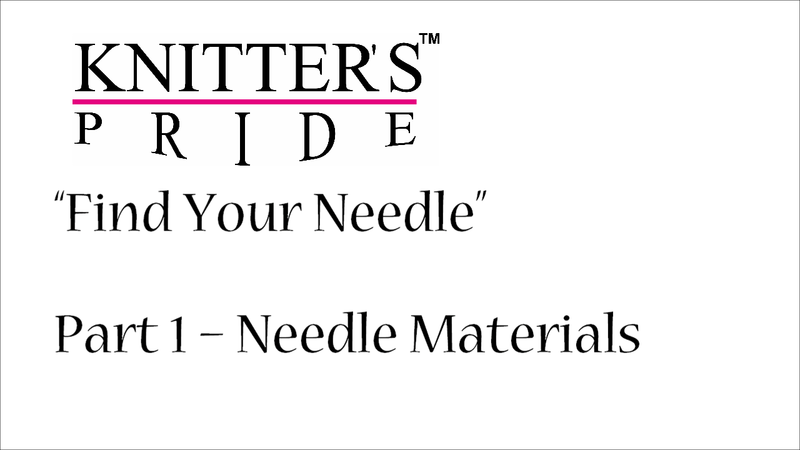 We look forward to seeing your bags, totes, and other creations in the Knitter's Pride Ravelry Group. Thanks for joining us! Whether you tend to knit more at home or while on-the-go, it's important to have the right notions at your fingertips! We've added a few new notions to our family of products to ensure that your knitting bag is well-stocked for fall. First, meet our new Clicky Row Counter! It can be worn around the neck for easy access and keeps you on track with a quick click to increase your row count as you knit or crochet. 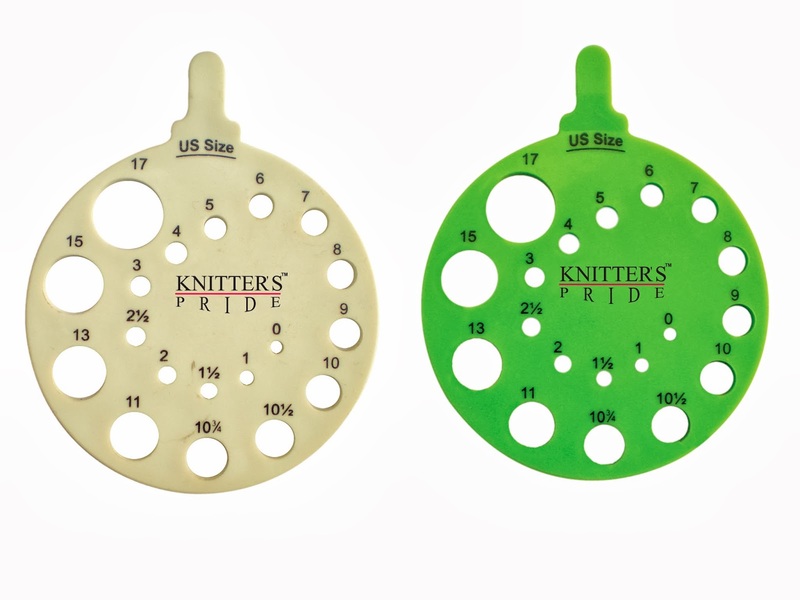 It's always a good idea to have a Needle Gauge handy, and our newest gauge is available in your choice of two great colors, Ivy or Envy! Another handy notion to have on hand is a cable needle or two - you never know when they might come in handy! 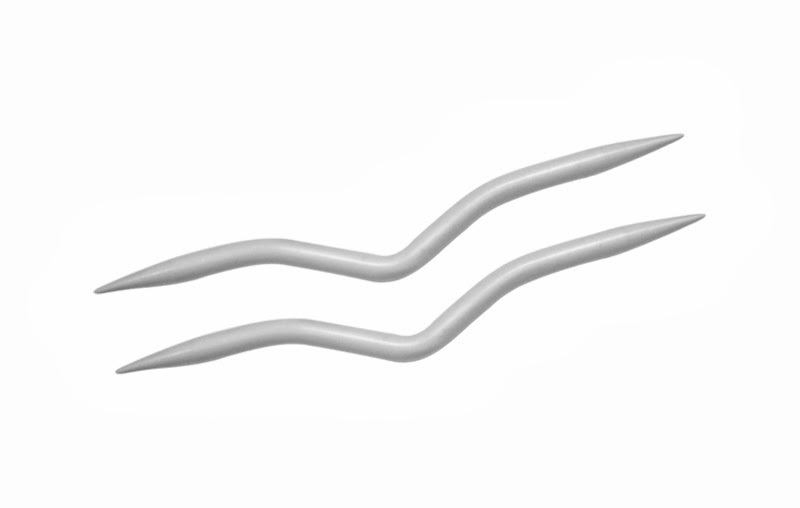 We have some new Aluminum Cable Needles which are ideal for projects on larger needles to add to our colored Aluminum Cable Needles for smaller-gauge projects. Two lucky readers will win a brand-new Thames faux-leather bag, which is a fashionable way to organize your Knitter's Pride needles and notions while on-the-go - and there's even room for your small project! They're available in 5 great colors: black, red, yellow, blue and purple. We've got two Thames bags up for grabs this month - one in RED and one in YELLOW. To be eligible in our prize drawing, simply leave a comment on this blog post telling us what notion is a must-have for YOUR knitting bag! Also be sure to include your Ravelry ID and color preference (red or yellow). We'll randomly select two winners to announce on Friday, October 25. Good luck! This guest post is by Johnny Vasquez, co-creator of The 30 Day Sweater as part of the promotional tour for The 30 Day Sweater Challenge. To learn more about the challenge or to sign up, visit http://30daysweater.com/knitterspride. My friend Sue has been knitting for more than 50 years. She’s made all kinds of things; hats, scarves, socks, mittens, blankets. But until recently she was always too scared to try knitting a sweater. Like many knitters, even though she had all the skills she needed, there was something keeping her from tackling her first sweater: Fear. This may not be the kind of crippling fear I have when I see a snake or a tarantula (seriously, don’t ever put me near a tarantula. I’ll scream like a little girl and be halfway down the street in seconds), but there is definitely a mental block for some when it comes to knitting sweaters. They’re time-consuming, expensive, require lots of finishing, and have a lot of opportunity for error. Every knitter’s worst nightmare is to knit for days on end, only to find you’ve made an irreparable mistake and have to start over. But fear not! There is hope. Knitting a sweater does not have to be as hard as you think. 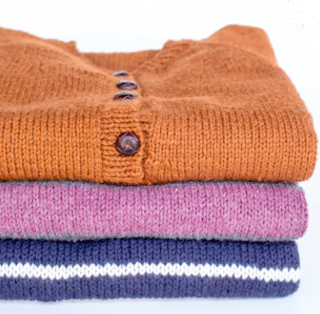 Here are a few tips to help you get over your fear of knitting sweaters. Guess What? You Probably Already Know Everything You Need To Knit A Sweater! 1. How to cast on. 2. How to knit the knit stitch. 3. How to knit the purl stitch. 4. How to do a basic increase. 5. How to do a basic decrease. 6. How to bind off. Now, you may be shaking your head, wondering why I didn’t include finishing, seaming, button bands and picking up stitches, etc.The answer is this: for a simple sweater, it’s possible to make one with only the 6 techniques listed above! Many traditional-style sweaters require you to knit in pieces and sew them together - for many, this is terrifying or unappealing. There are lots of knitters who do not enjoy seaming for one reason or another! Luckily, not all sweaters have seams: my favorite way to knit a sweater is top-down, which has the advantage of being knit in the round, can be tried on as you go, and in most cases, is entirely seamless. 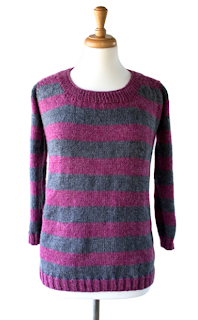 There are a few methods for knitting sweater from the top down, but my favorite is the raglan. There’s a famous saying: “How do you eat an elephant? One bite at a time.” Take a look at your sweater pattern and break it down into smaller chunks. Map these little bites onto a calendar and plan out a schedule for knitting your sweater. Even if you don’t stay entirely on schedule, you can rest your mind by knowing you only need to finish a small part each day. These small sections will eventually lead you to a completed sweater and make it easier for you to finish. Pushing Beyond Your Comfort Zone Helps You Become A Better Knitter. All of us want to be better at our craft. But you’re only as good as the hardest thing you try. If you want be improve your knitting, you’ll need to make projects that are more advanced than you think you’re capable of. Remember, no matter how complicated a pattern may be, at the end of the day, it’s all knits and purls. We’re not solving world hunger or curing cancer. We’re knitting sweaters. The pressure is off. So what if you have to rip out a sleeve? That’s ok! It’s not a race. There is no secret knitting society tracking your project, making sure that you’re worthy of joining their ranks . . . that we know of. Part of the fun of knitting is the journey. Those struggles are memories you’re creating that make that sweater even more meaningful. Every time you wear it, you’ll be reminded of the hard work you put in to create this work of art. There are a lot of things that are legitimately scary. Being dragged to the bottom of the ocean by a giant squid is scary. Raising kids is scary. Tarantulas are scary. Knitting? Not scary! Face your fears. Knit a sweater. 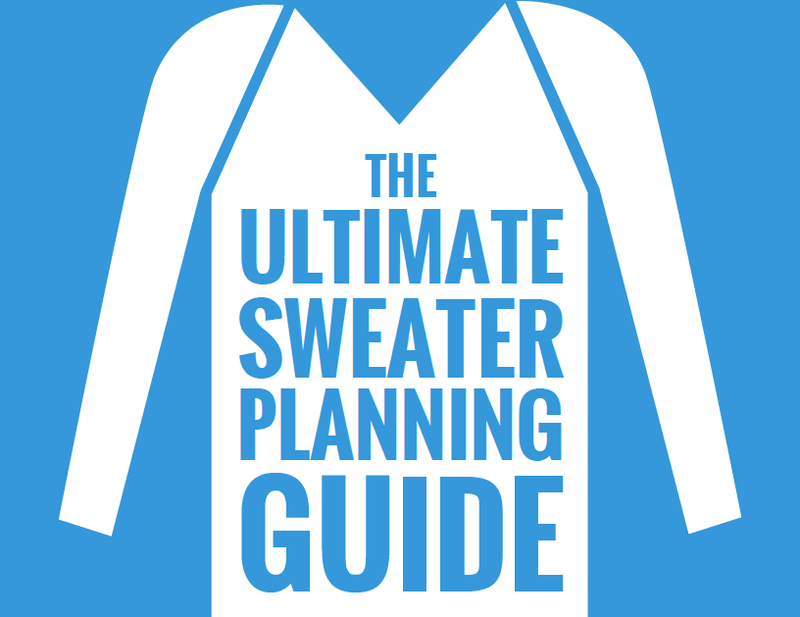 If you’d like a little bit of help planning your next (or first) sweater project, check out our free sweater planning guide. 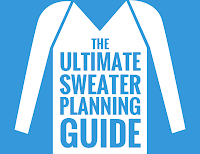 It walks you through all the questions you’ll need to consider before making a sweater. If you need a little bit of motivation to finish your sweater, take the 30 Day Sweater Challenge! Join thousands of knitters around the world as we knit a whole sweater during the month of October. We’ll have lots tips and tricks, interviews with industry experts, and special giveaways along the way. To learn more and sign up, visit http://30daysweater.com/knitterspride.